The most classic of the chandelier styles gives its name to this collection which is created with very light metal arms adorned with expertly crafted leaf detail. This collection includes chandeliers and table lamps. 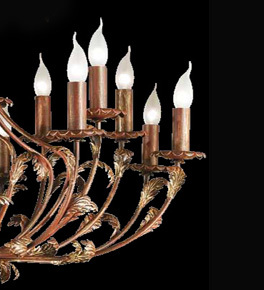 Barocco is Italian for Baroque - A traditional style of chandelier.